Enterprising tourists should consider the Poznań Tourist Card - a splendid piece of plastic that entitles the bearer to free or discounted admission to more than 70 places, plus optional free travel on the city's public transport system for a small additional fee. The card comes a guide explaining how to use it, which places offer free admission (most museums) and which offer discounts (a selection of restaurants, theatres, and other attractions such as the zoos and various leisure activities). The card can also be used in selected places outside of the city, such as Kórnik Castle, where it is valid for an additional day on top of the number of days it is valid in the city. Cards cost 49zł for 1 day (44zł without transport), 65zł for 2 days (55zł without transport), and 79zł for 3 days (65zł without transport), and can be purchased from every Tourist Information Centre as well as a few hotels. 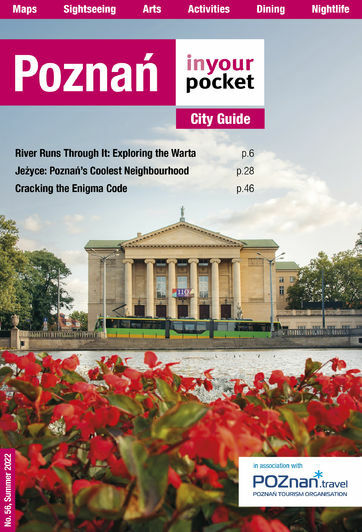 Every venue in our guide which accepts the Poznań Tourist Card has been marked with a TC symbol.